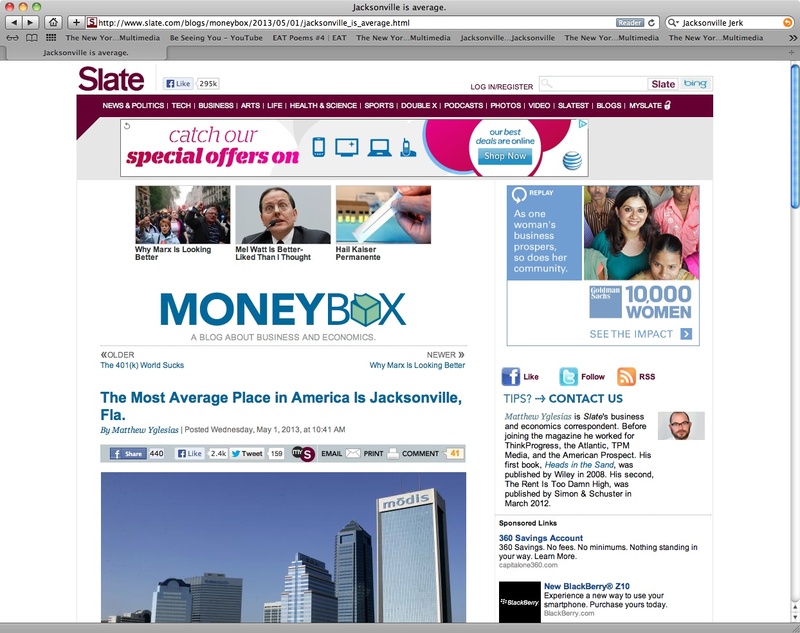 SLATE retracts “average” — Jaxonpool News with Violent Crawley: It was reported today that a kerfufle has unfolded between Slate and local blogger The Jaxonpool Jerk. 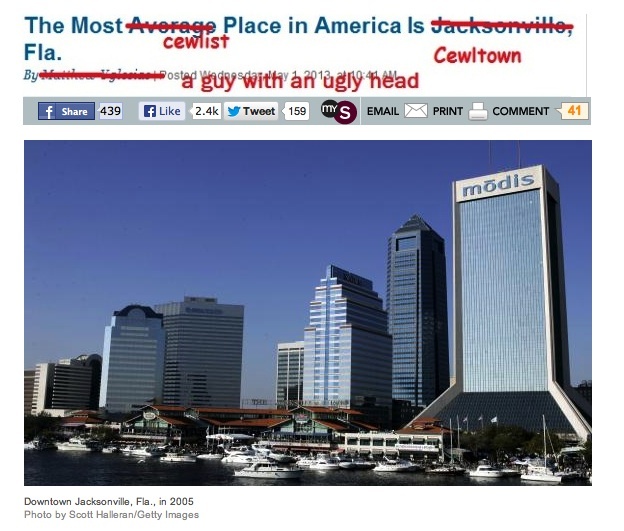 In a fit of civic chauvinism, The Jaxonpool Jerk last week lashed out at Slate’s Matthew Yglesias, author of “The Most Average Place in America is Jaxonpool, Fla.” After reading The Jerk’s profanity-and personal-attack-laden critique, Yglesias conceded mistakes and begged for mercy. 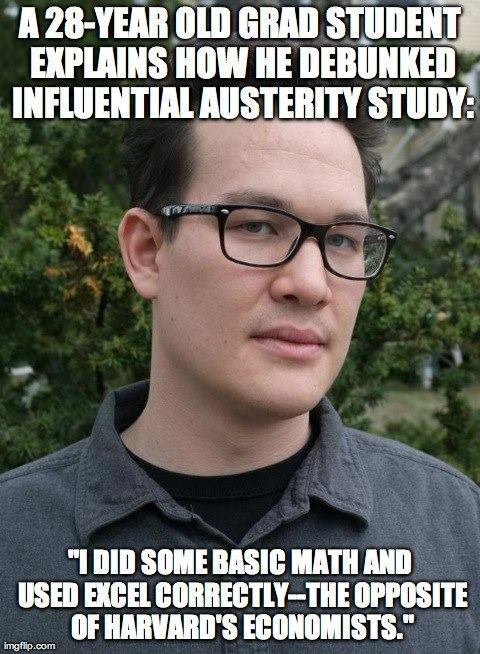 “If Harvard economists can make big blunders,” said Yglesias in an email, “I’m in good company.” He acknowledged that a combination of data-entry errors and bad software led him to characterize Jaxonpool as merely “average.” The bulk of the problems he blamed on Excel. “MEA CULPA!” he cried, using all caps. “The Excel spreadsheet made me do it!” He went on to write that, upon reentering the numbers and further studying the empirical data, he should have used the word normal. However, outrage from the disabled community forced him to yet again reconsider his word choice. He since has settled upon typically developing. The Most TYPICALLY DEVELOPING Place in America is Jaxonpool, Fla. “FOR CHRISSAKES, ARE YOU HAPPY NOW? ” he flamed. In what he said would be his last email / tweet / utterance / nano-thought on the subject, he went on to say “Typically developing’s my phrase, and I’m sticking to it.” Yglesias is said to be contemplating moving to Jaxonpool, reasoning that a city so pleasurable to The Jaxonpool Jerk must be a good place in which to live. 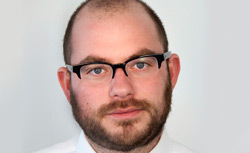 Yglesias did thank The Jerk for pointing out the flaws in his research. 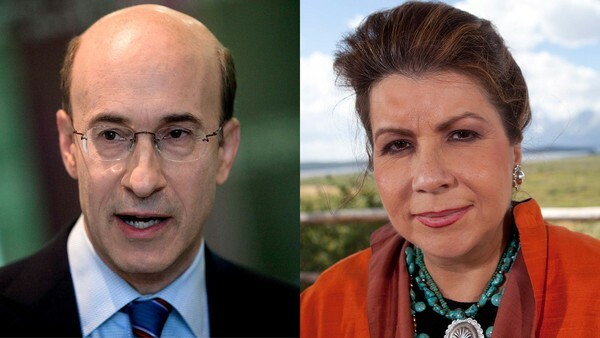 “The use of scatological terms, repetition of the F-word, and ad hominem attack, when directed at me, always make me ponder deeply my conclusions,” he wrote. And now, like a good Bollywood movie, every news report should take a moment and burst into song. Even if the musical number has absolutely nothing to do with whatever surrounds it. This number is sung by a band whose members met back in the mid-1990s while attending the Douglas Anderson School of the Arts, but they moved away to Los Angeles in 2000. Enough with the music: now back to business. Except, what business could possibly remain? 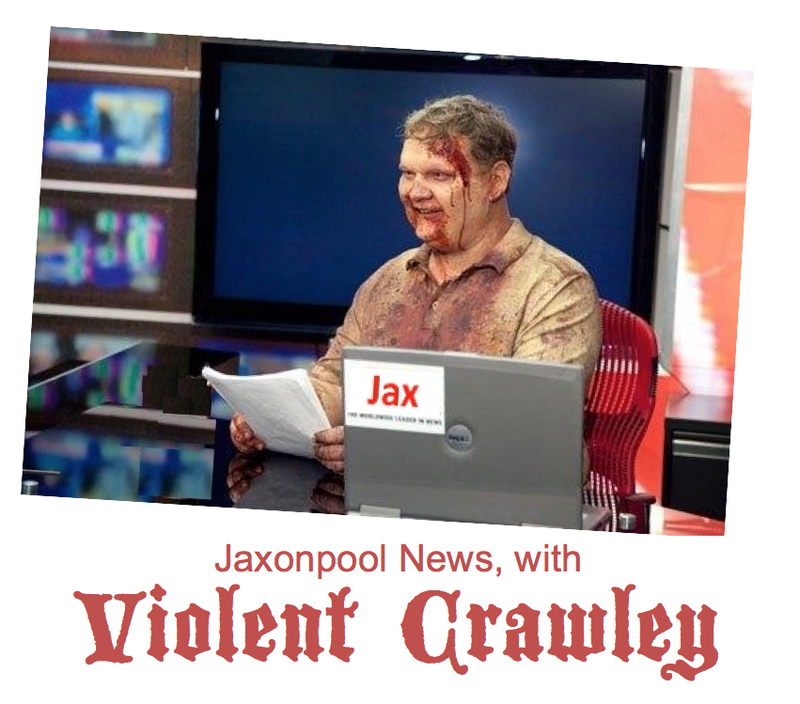 The Jerk has eloquently made the case: Jaxonpool is a “cewl” place. No one should ever want to leave it. No one should ever criticize it. My only fear is, by presenting the rebuttal in the way he has, The Jaxonpool Jerk may have inadvertently verified Yglesias’ original finding. But then, this reporter must ask, what’s so bad about being average? Isn’t that actually an improvement? Isn’t ‘average’ way ahead of where we were twenty years ago?